If you were to define your family what adjectives would you use? Loud? Kind? Hard-working? Mischievous? If you answered yes to all you may be just the family Hyundai’s looking for! As part of its new “The family that rocks together rolls together” campaign the automaker’s holding a contest to find a clan that embodies certain values without ever having “settled down”. Ideally they’d also be into mud, car sing-alongs and practical jokes but, we think, any kind of off-the-wallness would suffice. 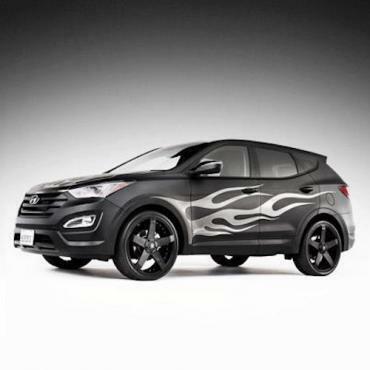 Prizes include a custom made Hyundai Santa Fe like the one in the pic above, a photo shoot in Rolling Stone Magazine, and airfare, hotel and transportation to the 55th annual Grammy Awards! So, if you think you and your family unit have what it takes visit http://www.rollingstone.com/music/my-family-rocks.